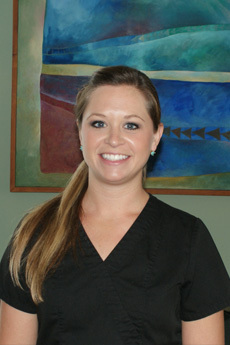 Originally from Lugoff, SC, Kayla now resides in Cassatt and has more than four years of experience in her field. She absolutely loves working with Dr. Own and our caring, compassionate staff. She thinks they make a great team, welcoming our patients like members of our own family. Kayla enjoys her job for many reasons, particularly because it presents her with the opportunity to meet and talk to new patients. She is happily married and has two children, and she truly enjoys spending quality time with her family. 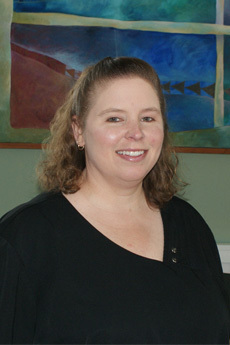 Mandy first started with our practice in 2006, but she has been working in the field for over fifteen years. She grew up wanting to either teach or work in health care so that she would be able to help people. Thankfully, working in dental hygiene has given her the best of both worlds! She can take care of patients' oral health needs and then instruct them on how to continue that care at home. One of her favorite things about the practice is the people she works with and how it's so clsoe to her home. She loves being able to serve the community she grew up in! Mandy is married, with one son and two step-sons. When she's not at the office, she enjoys making cupcakes, trying different crafts, and researching her family's genealogy. Jessica joined our team in May of 2015, and has offered outstanding care for Camden, SC patients. A Clemson grad, Jessica is dedicated to helping patients achieve and maintain their healthiest smiles with thorough twice a year cleanings, at-home care recommendations, and patient education. Jessica has wanted to be a hygienist since she was a child, and enjoys working in a stress-free environment with coworkers who feel like family. Originally from nearby Hartsville, Jessica loves spending time with family and friends, shopping, running, relaxing, watching TV, lounging by the pool or on the beach, and following Clemson athletics especially tailgating at football games. 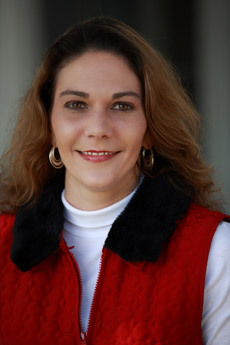 Originally from Vidalia, GA, Donna has lived in Camden since 1997, first joining our practice in 2005. One of her favorite things about working at the practice is how supportive and friendly her co-workers are. They all make a great team! She also enjoys meeting patients and getting to know them and their families. She loves helping them out, whether they're struggling with dental insurance, financial options, or understanding a treatment plan. In her free time, Donna enjoys reading, watching college football and basketball, going to movies, and spending time with her family. 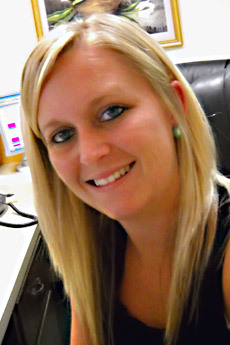 Brittany joined our team in 2013 as our scheduler. 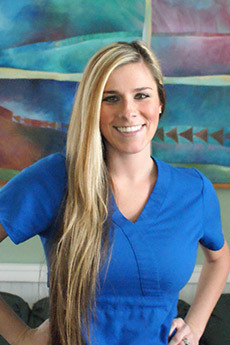 She is friendly, laid back, and loves working with technology and our patients. That makes her the perfect person to schedule appointments using our office’s computer and phone. You’ll also find that same laid back feeling all throughout our office. Making patients feel comfortable and welcome is what Brittany and the rest of our team are all about. In her spare time, Brittany enjoys spending time with her daughter. Whether they’re shopping, playing at the pool, or watching Dora the Explorer, being with her is a joy.